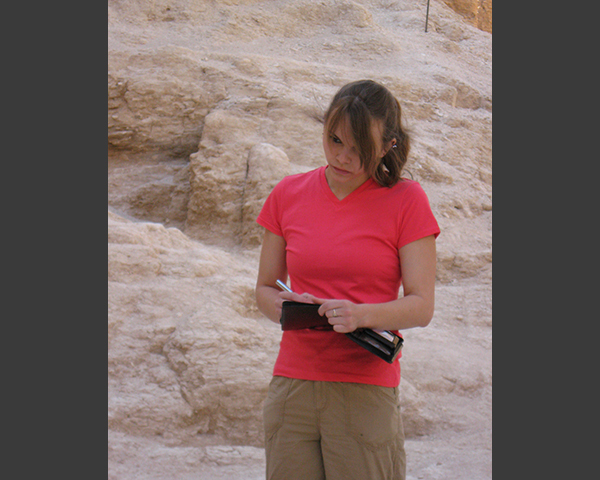 Rebecca Dash takes notes during the Dash Foundation's surveys in the Western Valley of the Valley of the Kings. The Foundation's work there was on behalf of the Supreme Council of Antiquities (SCA), Dr. Z. Hawass, then Secretary General. Our purpose was to use ground pentrating radar to assist Dr. Hawass' expedition.